Why put down your camera on 17th July? Non Photography Day I'm not sure what this is about, but I keep seeing these little posting around the Tate modern. 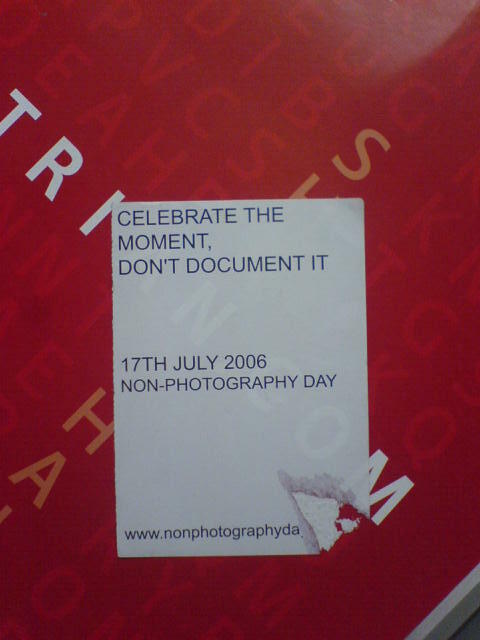 Who would want a "non photography day"? What does it mean? Any ,why, why ,why?